As noted PSM is having a monthly stamp auction, probably it will be good to have a thread to report on the activities of the monthly auction, and perhaps, show some highlights of the key items on sales. murugesu wrote: it will be good to have a thread to report on the activities of the monthly auction, and perhaps, show some highlights of the key items on sales. Personally, I do not agree with this idea. PSM auction is strictly for members. PSM is good enough to publish the auction list on this website, perhaps as an inducement to attract new members from this forum, but to have comments and highlights, I think members exclusivity is lost as everybody gets to know what is going on in the auction that is the privilege of members ONLY. In any case, members who put up their lots at the auction may not want others to comment on it. There are also members of this forum requesting reproduction of PSM publications online. Although it may not cost PSM a sen to do that, in principle, it shouldn't be done because otherwise who is ever going to become a PSM member and pay member fees if they can get everything "free". After all, PSM is dependent largely on members subscription to fund its activities. Even maintaining this website costs money. Sorry for sounding very selfish, but I think PSM should think what its objective is in creating and developing this website in the first place. We did have our words on this at the AGM in Bricksfield and thereafter. There are many things we can share with collectors in general, but there MUST be some privileges exclusive for PSM members only. cwwong, I totally support and agree with your comment, if not silence is not golden. yeah, I agree that PSM should protect it member's privileges, else there will be meaningless to be member of PSM. Oh I see, it is the members' right ... anyway , thanks. Many may say we are selfish or narrow minded,but note, every institution or club has its rules and regulations. Info and circulations pertaining to the club should remain within and privileged. Anyone wishing to to enjoy these privileges should join PSM. That is our objective. While it is expected by members to have some benefit in joining PSM, there is still no one stopping members of the forum from posting information in the form of articles or news pertaining to philately and perhaps that is what we should try to aim for at this point in time. stampheart wrote: While it is expected by members to have some benefit in joining PSM, there is still no one stopping members of the forum from posting information in the form of articles or news pertaining to philately and perhaps that is what we should try to aim for at this point in time. Yes, uncle andrew, you are absolutely right, there is no one to stop other members in reporting or posting photos of what is happening on the auction floor. Perhaps, PSM members will like to keep the Auction detail to their own community and do nOT want to have too much of the fact of the auction exposed to the public, fair, the members have the every right as these items are private properties, however, some news/photos of what is happening will NOT harm anybody, right ? Perhaps, PSM auction is forbidden, I would suggest Malaysian items on sales on other internet websites (e.g ebay) could be widely discussed and posted on a special thread created on this forum board, how about it ? Look like a clear line has been drawn between PSM members and PSMonline members as suggested by the posts above. Certain PSM activities have to remain secretive and cannot be openly discussed and NOT to be disclosed on PSMonline as they are the priviledges of the PSM and NOT PSMonline. I do NOT know news from an auction cannot be publicly dessiminated, I have come across news on auction openly announced and reported from many stamp societies worldwide, does PSM really have to be so serious about the reporting on the monthly auction ? should the news remained secretive to the members ONLY, should PSM remained as a SECRET society anyway ? 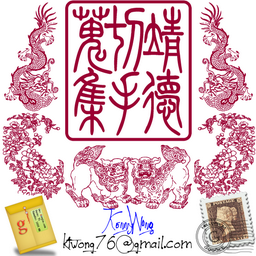 Prangko wrote: I do NOT know news from an auction cannot be publicly dessiminated, I have come across news on auction openly announced and reported from many stamp societies worldwide, does PSM really have to be so serious about the reporting on the monthly auction ? should the news remained secretive to the members ONLY, should PSM remained as a SECRET society anyway ? Please remember that PSM and most other philatelic societies are private societies. It is up to the exco of each society to decide whether to publish their auctions on-goings. And the exco have to take into account what the members want. So the decision rests with the exco after taking into account what members want. The decision DOES NOT LIE with non-members. There are also members in this forum who are in fact in the PSM exco or PSM members. But they give their views in their individual capacity and they DO NOT have the authority to decide to publish PSM auction activities unless this has been approved by the PSM exco. Are you sure you have come across private societies openly announcing their auctions activities on their websites ? I only know of those auctions that are OPENED TO THE PUBLIC (for bidding) and are therefore NOT PRIVATE anymore. Also please DIFFERENTIATE between a PRIVATE society and a SECRET society. The latter is a derogatory word and is UNCALLED FOR.